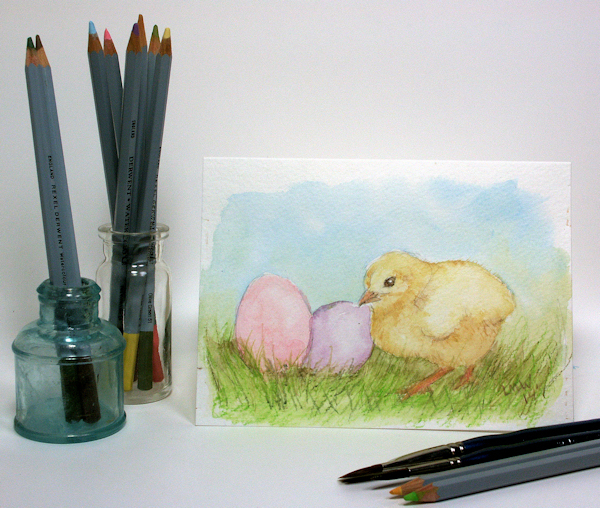 You can follow along with the video, I will show you how to draw and paint it with your watercolor pencils. It is very easy, probably the easiest project to draw that I have shared so far! 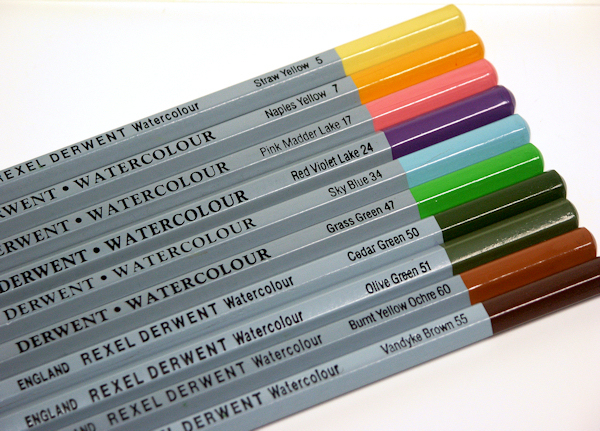 Here are the colors I used in the Derwent watercolor line, feel free to substitute for the colors and brands you have. Here is a close up of the painting for your reference. Have a wonderful day and as always happy crafting! Dontcha just love Daylight Saving time? Getting to sleep that extra hour…that is only if you remember to turn back your alarm clock LOL! Luckily I did not wake anyone else up except the dog who was more than ready to start her day (dogs apparently do not “get” daylight savings time) so I shut of the alarm, let her out and fed her. You’d think with an extra hour I’d be more ambitious, nope, I just lazed around until it was time to get the kids up. 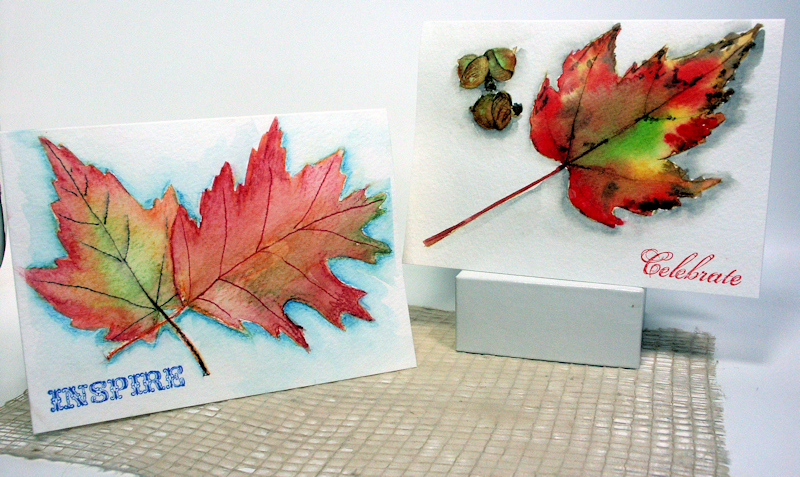 And this video shows painting the leaves with watercolor paints. I added some acorns for interest and yes, I realize I am painting maple leaves LOL! So, what do you think? 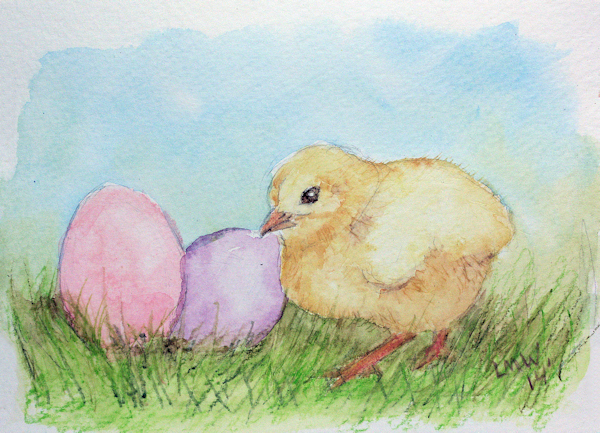 Are you more suited to painting with watercolors or watercolor pencils? I think pencils (I use Inktense BTW) are more suited for someone who likes to look before they leap and paints are for someone who like to jump right in and as artists we can prefer one one day and the other the next! C’est la vie! 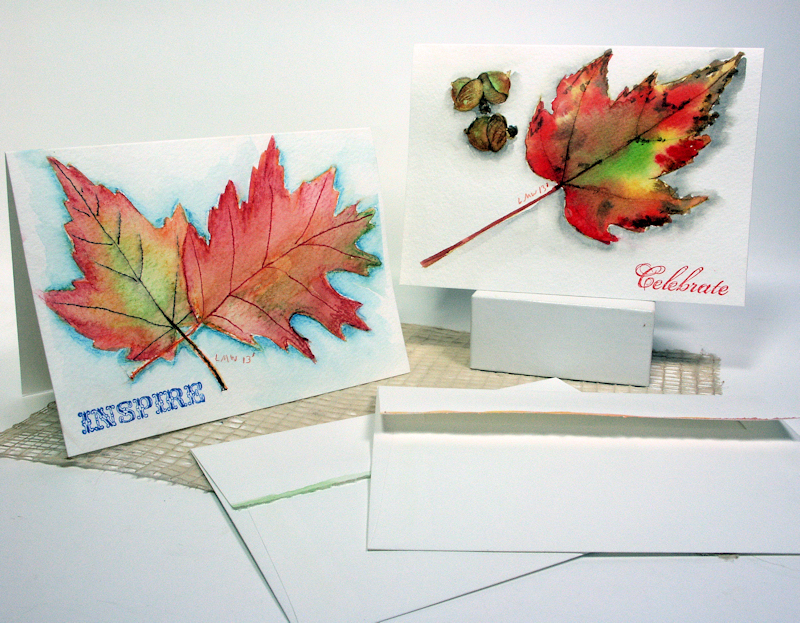 Don’t forget a little swipe of matching paint on the envelope! Thanks for stopping by and til next time happy crafting!